Winds gusting to 20+mph today. Decided to stop by the park and see what was biting. 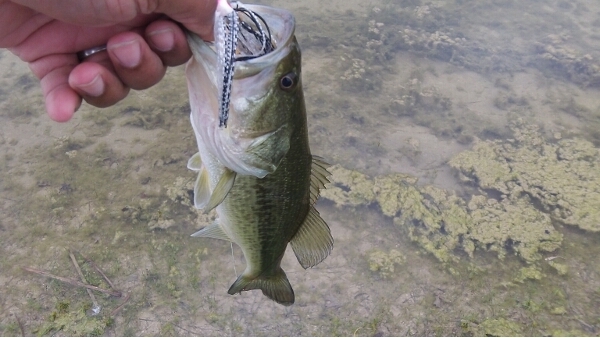 I saw three small bass sitting near some reeds, but I couldn’t get them to bite. It looked like a pair of bass were trying to keep the third bass off their bed. 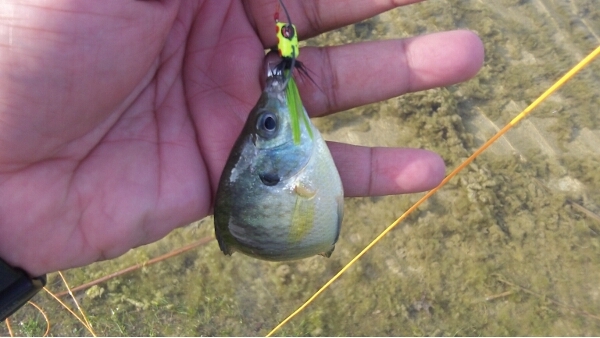 I did manage to catch a small bass on a road runner, and another one on a spinner bait. 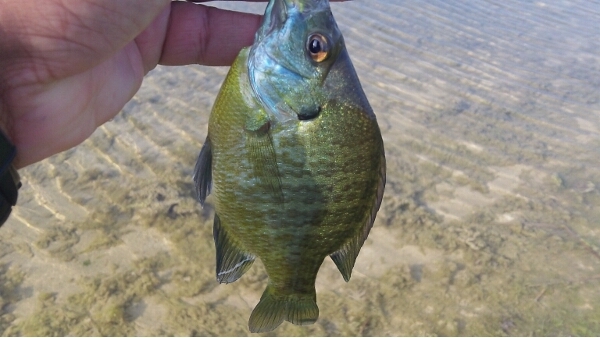 I heard a familiar popping sound and notice a few bluegills eating some bread floating by. 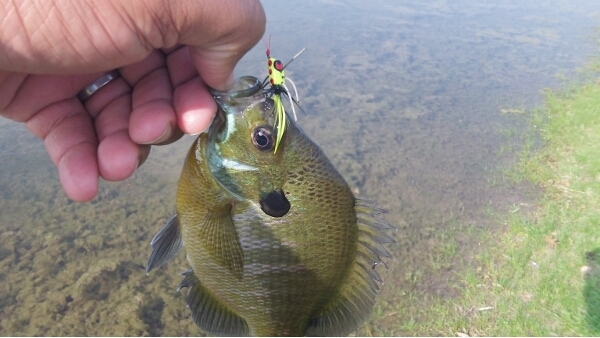 I went home and got my fly road and loaded up a popper. 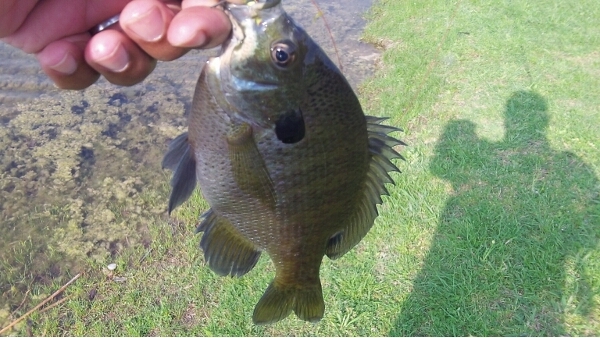 Caught a few gills near the library, but could not find them anywhere else.